Lucy Taylor (MEd, BA, GradDipEd, GradCertTESOL) is an experienced secondary school English and History teacher who is now working as a school counsellor. She helps the youth of today attain life skills, including the skill essential for personal development and career success—the ability to cope with change. 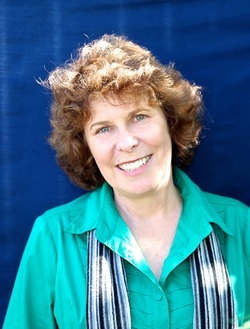 Lucy has four adult sons and lives with her husband in south-east Queensland. In July 2015, Lucy achieved her fundraising goal of $3500 for Alzheimer’s Australia Dementia Research Foundation. She would like to thank everyone who has purchased a copy of her book, the 75 bookstores/retail outlets that have stocked it, as well as those people who have contributed directly to the appeal. You have all helped to make the $3500 goal achievable. Though Their Eyes is profiled in the October/ November (2014) edition of 50 Something magazine. The Retiree and YOURS magazines and The Senior newspaper are spreading the word across Australia about Through Their Eyes in their September/Spring issues. 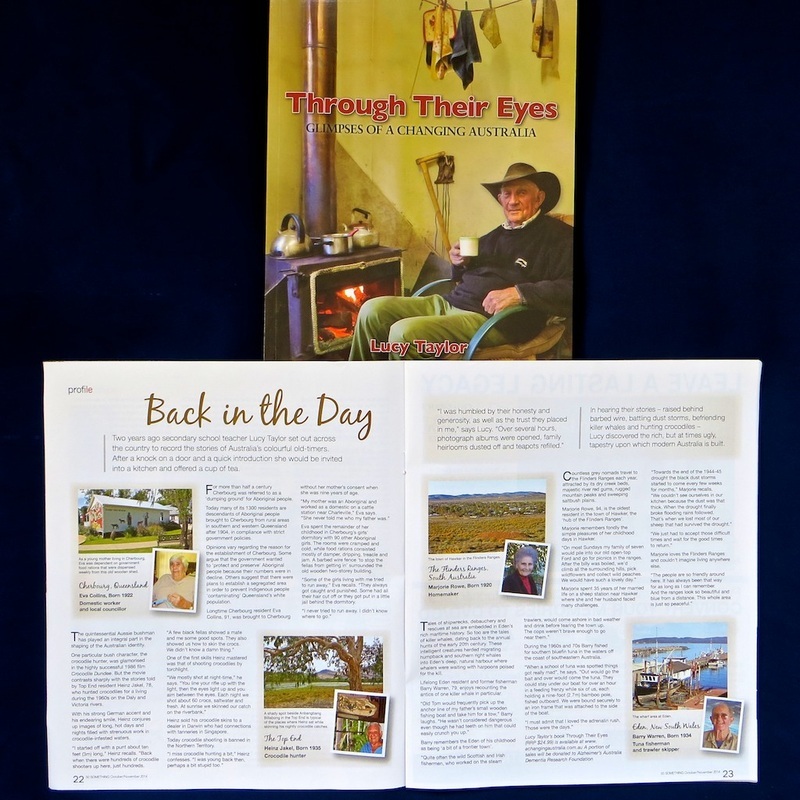 A big thank you to R.M.Williams OUTBACK Magazine for the wonderful review of Through Their Eyes in the April/May 2014 issue. Here is a snippet of the review, entitled 'Stories worth remembering'. "All the stories in this book are of ordinary people with interesting stories to tell… if you enjoy this magazine we can recommend this book to you." 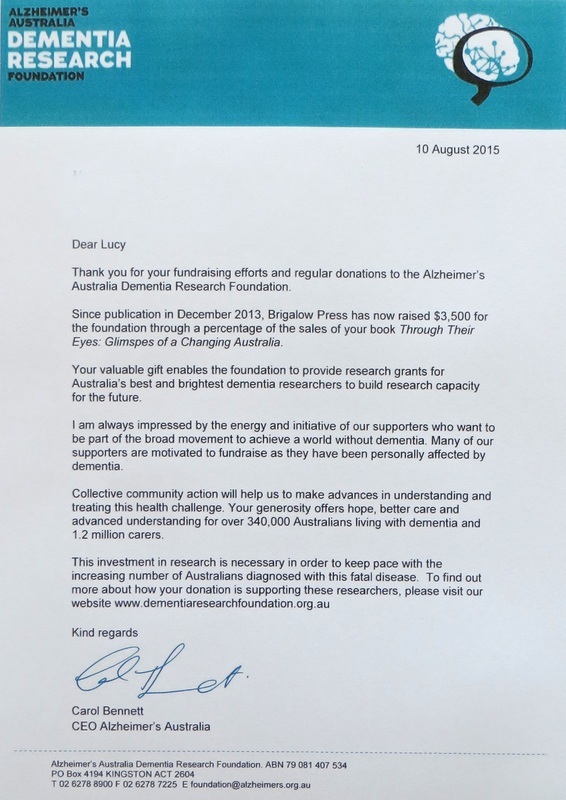 Lucy is donating 10% of the RRP of Through Their Eyes to Alzheimer's Australia Dementia Research Foundation. To read Lucy's 'supporter story' that is found on the Dementia Research Foundation website, click on the Dementia Research Foundation's icon on the left. During the interview Lucy discussed the stories in 'Through Their Eyes' that are set in the North Queensland region. Lucy also revealed how she gained the inspiration to write her new release and how she went about finding her 24 interviewees in towns across Australia. The 4KZ audio is accompanied by 60 photographs taken by Lucy. 'Ovens and Murray Advertiser' and the ABC Goulburn Murray Radio Station in Victoria in January 2014. Listen to the ABC Goulburn Murray interview here. Arthur Ferguson, aged 88, is no stranger to the Roma Saleyards, the biggest cattle-selling centre in Australia. He is proud to admit that he has been 'in cattle' all of his life. Arthur’s stories about a fading era in southwestern Queensland feature in a chapter of Through Their Eyes. In January 2014 Lucy was a guest at the Coolum Beach Bowls Club in south-east Queensland to promote her book Through Their Eyes. An article in the 'Coolum and North Shore Advertiser' (30th January 2014), shown on the left, explains how 60 club members and visitors had helped Lucy select the book's cover design when she had visited the club on a previous occasion.